As we are sure that you are already aware of, going vegan is becoming increasingly popular. Whether it be just going vegan whilst out and about, or actually committing to the lifestyle on a full-time basis, you can’t deny the rise of this trend. Once looked as maybe slightly uncool, it has become the hippest thing to be. As a result, we have seen the prolific rise of a number of vegan startups. We’ve decided to put together a guide of the vegan food startups to watch we think you should be keeping an eye on. This startup is a B-Corp that is aiming to become Earth’s most forward-thinking brand. Allplants fully believe that social impact should be our first priority, whilst also creating scrumptious plant-based food. Their foods, Smoky Soul Chilli and Fiery Jerk Jackfruit, won Great Taste Awards, affirming that they are absolutely a vegan startup to watch. 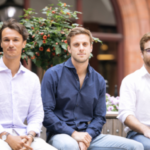 In late 2018, the startup received £7.5 million in Series A funding in a round led by the VC firm Octopus Ventures, a company that was originally one of the early backers of healthy snack subscription service Graze. 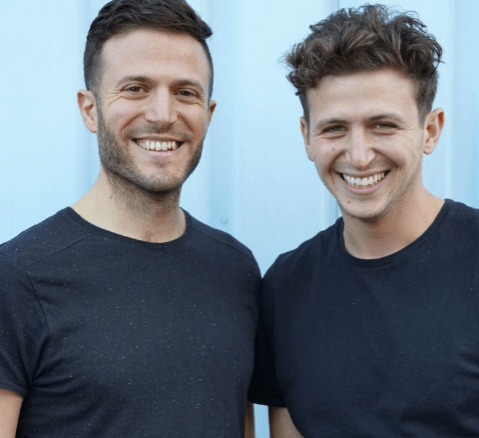 Allplants is using this investment in order to develop a greater variety of ready-to-eat food as well as expand its North London based team of 40, as well as focusing on the capacity of its production kitchen, which uses waste-created and renewable energy. This company are all about creating healthier chocolate habits. How? 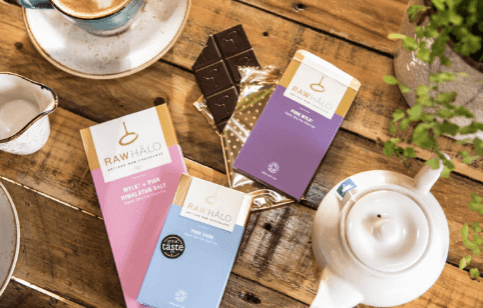 Raw Halo have created a range of yummy chocolate bars that are not only vegan-friendly but also raw, organic, refined sugar-free and gluten-free. Initially launched in 2015, their startup has boomed as a result of the huge demand for organic, vegan and dairy free products. Raw Halo now has a staggering 1,000 stockists in not only the UK but abroad too. Brands include Planet Organic, Whole Foods, Ocado, Harrods and Selfridges, with many more joining up. As previously mentioned, the startup has been expanding on stockists abroad too, and this expansion is the focus of their growth plans for the next coming years. 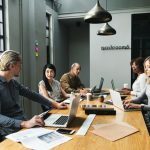 They have released their products in the Middle East and Australia in the past year and hoping to target other regions with their exciting and innovative product. The project created by the founder Anna Szanto and launched in April 2016, focuses on providing people with a subscription service for vegan, gluten-free and natural projects. They work with a number of high-profile brands including Ombar, The Raw Chocolate Co, PROPERCORN and so forth. Their main focus to provide its customer with high-quality, healthy food. The Goodness Project even provides the option of providing handwritten gift cards and can personalise the box on your behalf. 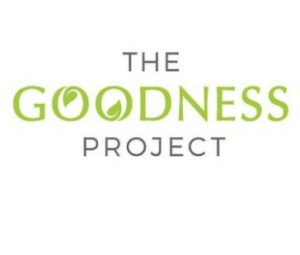 So far, The Goodness Project has over 2,000 customers. 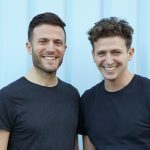 The vegan startup plans to scale up its unique offering in the next 12 months, and will achieve this by focusing on primarily raising investment, as well as hiring new talent, as currently there are two people operating the business at this present time. From its full-service restaurant in Shoreditch, London, this startup provides tasty 100% plant-based burgers for its customers. All its burgers are vegan, made from nuts, grains, legumes and vegetables, but they are very much far from boring. 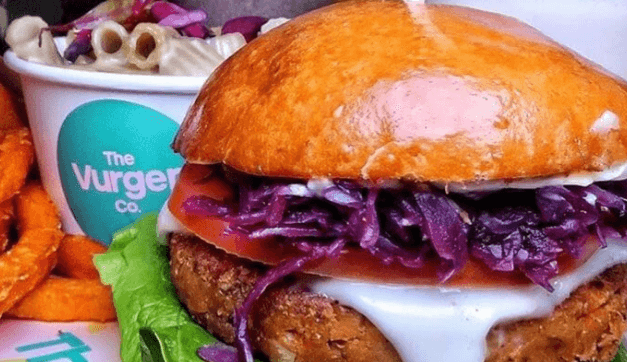 The Vurger Co was initially a street-food company but opened its doors in March 2018 in London to outstanding success. Having received £600,000 in investment in late 2018, the firm is using this investment in order to open its second restaurant. This funding is also being used to expand into markets abroad, including the Middle East. 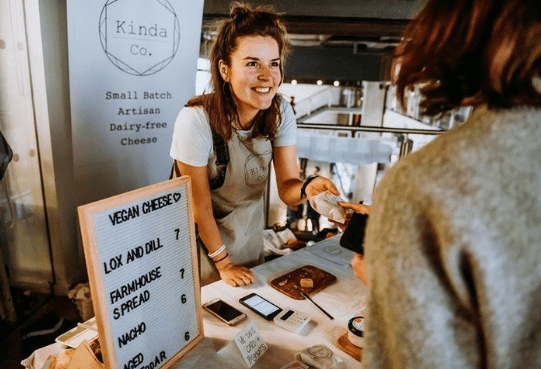 Kinda Co creates vegan versions of cheese (including cream cheese, cheddar and feta) from her very own kitchen in East London has recently won backing from a group of high-profile investors. These include Covent Garden Soup and Vita Coco. Whilst her firm is still very much in the early stages of development, her vegan startup shows considerable promise. Having won £35,000 in investment in late 2018 at the Bread and Jam Fest, the UK’s biggest food founders festival, the founder is using it to scale up the brand and develop the range of cheeses that the startup offers. Vegan startups that are doing well are not only in the food industry, its beauty products too! One of the companies doing particularly well in this field is Optiat. Optiat is now called UpCircle. The name, which is the acronym for One Person’s Trash Is Another’s Treasure, is given to the brand that focuses on eco-friendly beauty products for UK customers, focusing on skin care products. It has recently undergone a rebrand, having now taken the name of UpCircle. They stated that as they had outgrown the initial vision of Optiat, and given its brand development, the startup’s evolution required a name change. In 2019, it is continuing to tackle waste management and has successfully reduced its plastic packaging by a staggering 99%. The UK-based vegan startup focuses on creating meatballs, burgers and delicious sausages by using exotic mushrooms. Set up in Darlington, Hooba Foods intends to distribute its meat-free products across the country in a supermarket near you. All of its products are certified as Vegan by The Vegetarian Society. The company is aiming to raise in investment £250,000 in order to be able to distribute its range of meat-free products across supermarkets nationwide. Currently, the brand is available to the food service sector and online via Alternative Stores. This is definitely one to watch given that Bill Gates has backed it! 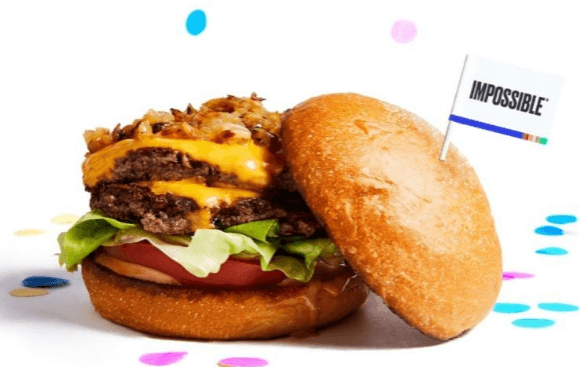 The US plant-based startup has been starting its international expansion, launching its burger across the country, including in major supermarkets. In the past two years, the company has managed to gain a staggering 55 million dollars in one funding round. 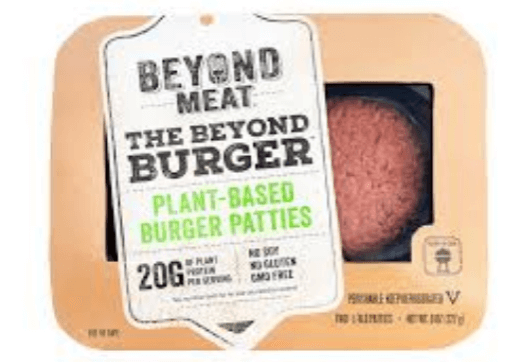 The aim of Beyond Meat in 2019 is to increase this amount to 100 million dollars in total, hoping to add further members to its innovation team of 40 scientists and chefs, as well as expand the range. Another vegan startup that is really paving the way for faux meat is Impossible Foods. They provide vegan burgers that not only look like meat but the taste and smell like it too. It has ended up becoming one of the best-selling vegan food companies in the US. Famous for its ‘bleeding’ vegan burger, it has just set up its collaboration with Red Robin in the US, which is a gourmet meat burger chain. Their products will be distributed in an additional 550 restaurants across the USA, with the products already available in 5,000 restaurants across the US, Hong Kong and Macau. 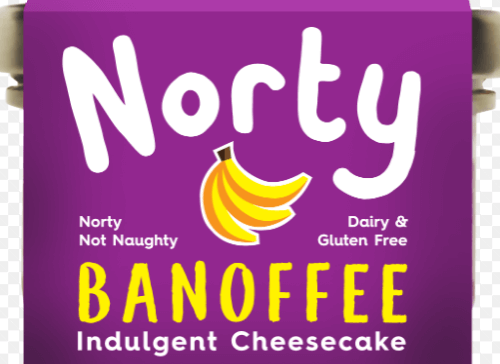 Norty provides its customers with vegan food packed with amazing flavour. Focusing on desserts and all handcrafted, they are perfect for those looking for a nutritious yet indulgent sweet treat. The startup set up a crowdfunding campaign, with the hope of expanding to buy a greater number of vehicles, given that the business model currently relies on food festivals and events in order to bring to the masses their plant-based cakes, puddings and coffees.